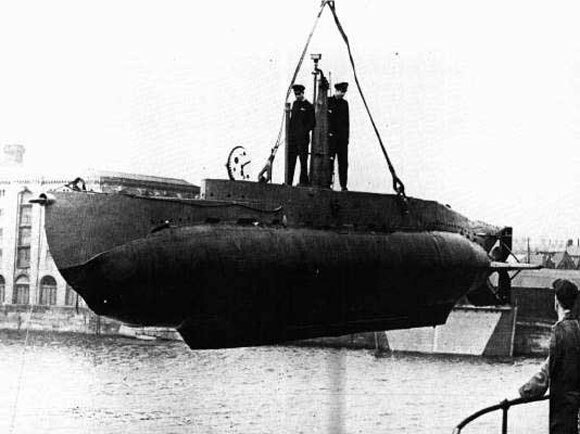 During the Second World War small submarines known as "X-craft," were created to sink ships berthed in shallow and/or well defended harbors. 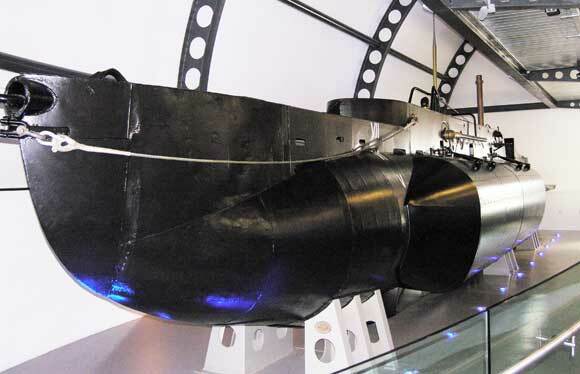 The X-craft is a miniature submarine that was towed closed to the harbor by a bigger submarine, and then penetrates the defenses designed to protect against larger submarines. Five months later on 11 September 1944, X24 again penetrated the 30 miles of fjord and negotiated the mine and net defenses to enter Bergen harbor. Now under the command of Lt. H. 'Percy' Westmacott, formerly the First Lieutenant of the Unshaken, the other crewmen were: Sub. Lt. B.H. Dening RNVR, Sub.Lt. D.N. Purdy RNZNVR and ERA B.C. Davidson. This time her target was a floating dock which had been towed up from Germany to carry out repair work. This attack was codenamed Operation Heckle. It was believed that the dock could handle Tirpitz, but it had been regularly used for the maintenance of U-boats. The attack was delivered after a passage from England lasting 80 hours in extremely bad weather, again under tow from Sceptre. On this occasion her attack was made in full daylight and X24 went through the crowded harbor at periscope depth, dodging ferries, tugs and other small craft. She reached the dock, dived under it, and released her two 2-ton charges, all unseen, between 0800 and 0900. The dock was broken in two and sunk, together with two small merchant vessels secured alongside it, the Sten and the Kong Oscar II. By 2030 that evening the X24 had surfaced and was in contact with Sceptre. They reached Balta Sound, in the Shetlands, at 0900 13th September.